People’s Vote March, June 2018, London. Photo © Clive Dellard. 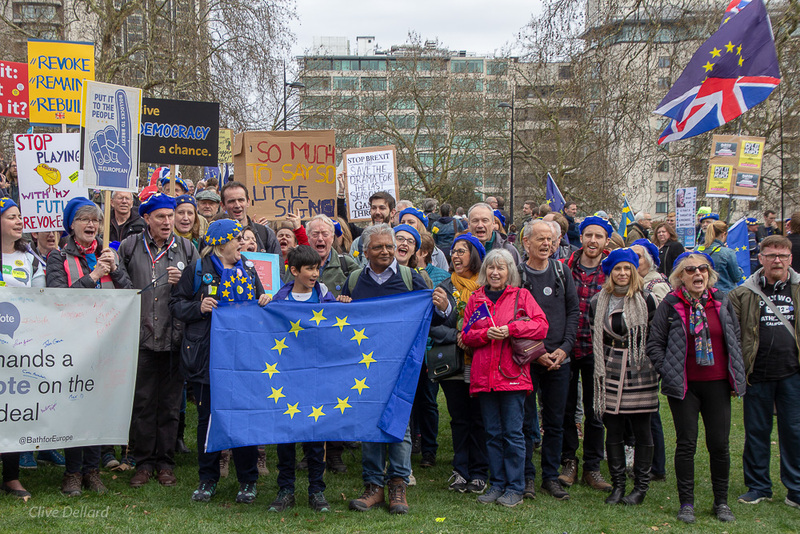 Our next Pulse of Europe will focus on the People’s Vote campaign. With every passing day, Brexit is being revealed to be a complete catastrophe. It’s painfully clear that our weak, disgraceful government has no viable plan. Theresa May is hanging by a thread and preparing for No Deal, threatened by the far-right Brexiteers. Parliament has been robbed of its authority. More and more evidence is coming to light that Vote Leave broke the law. Our democracy is under siege. 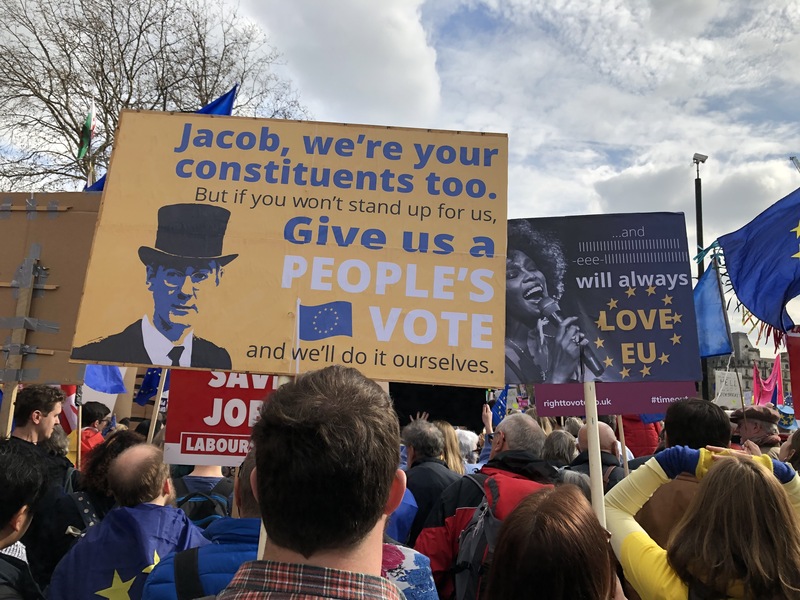 Support for a People’s Vote is growing and gathering strength across the nation. 250,000 people have signed the petition! We, the people, demand a final say on the future of our country. If you haven’t yet, please sign and share the petition calling for the people to have our say. People’s Vote March, London, June 2018. Photo © Clive Dellard. Warminster Brexitometer. Photo © Clive Dellard. For months we have been stepping up our outreach activities beyond Bath. From Chippenham to Warminster, Corsham, Melksham, Bradford-on-Avon and Trowbridge, our Brexitometer is showing that even some of those who voted Leave want a People’s Vote. We will meet at Bath Abbey Churchyard as usual at 2 pm for short speeches. We will proceed via the Royal Crescent for photos and take a new route to Victoria Park. We’ll then visit a nearby pub for drinks and conversation. We need to keep our campaign to Stop Brexit visible to our fellow Bath residents. Now is not the time to give up! 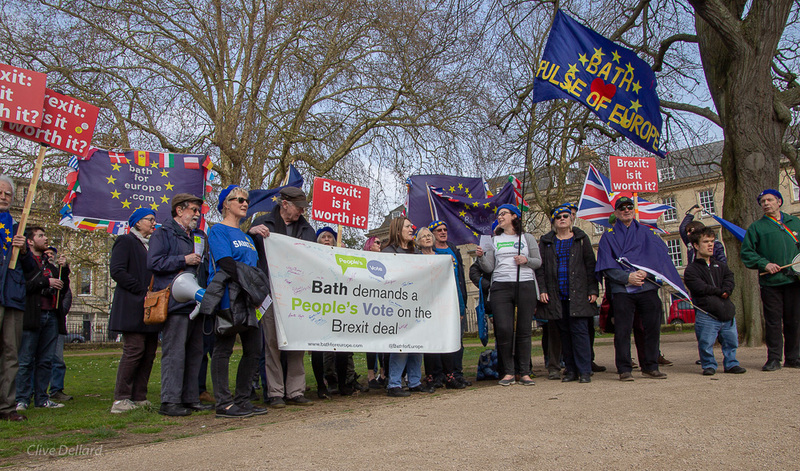 Wear your Bath for Europe or People’s Vote t-shirts, bring your placards, bells, whistles and flags! Join with like-minded people who want the best for Britain! See you there!